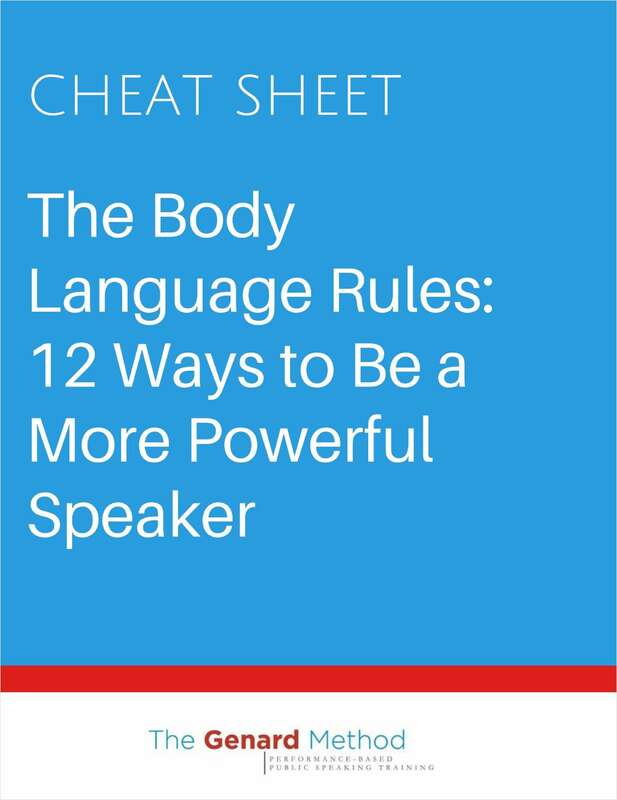 "The Body Language Rules: 12 Ways to Be a More Powerful Speaker"
Free Cheat Sheet: "The Body Language Rules: 12 Ways to Be a More Powerful Speaker"
Does body language matter when you speak in public? You'd better believe it! By submitting this content request, I have legitimate interest in the content and agree that The Genard Method, their partners, and the creators of any other content I have selected may contact me regarding news, products, and services that may be of interest to me.